My father was a hospital administrator and I grew up doing my homework at his office, which also happened to be near the emergency room. We grew up knowing and seeing that tragedy can strike in many different ways, and it was not specific to any particular age group or gender. Even before transplantation was as frequent as it is nowadays, there was a very loud verbal understanding within my family that none of us wanted any heroics performed should tragedy befall us and that they (the doctors) should use whatever parts they could to help other people. Many years later, a married mom of one, anxiously awaiting the birth of our second child, I was soon (as was my entire family) catapulted into a world for which we really had no experience. Our positions changed from potential donors to parents of a potential recipient. Our daughter, Kelli, was born with a fatal lung disease, meaning that she was expected to die shortly after birth. Although the disease would not even be diagnosed and given a name for another six years, the seriousness and heart-wrenching affects of the disease were very real in that moment. For reasons still unknown, Kelli survived with the assistance of a ventilator (a machine that assisted her breathing) for three months. She was transported from Phoenix Children’s Hospital to St. Louis Children’s hospital where she received a double-lung transplant at the ripe old age of three months! A double-lung transplant allowed our baby, born dying, to live life to its fullest. As she grew up she learned to tap dance, ballet dance, to ride a bike, to swim, to rock climb and to participate in challenging athletics. It allowed her to have many friends, slumber parties, boy crushes and breakups. It also granted her the ability to be a loving sister and daughter, a great student, an accomplished pianist and be an active participant in helping others less fortunate than her by donating her time and energy. When not in school, she actively promoted organ and tissue donation. Become a part of Ursula Neal's story. Click Here. Ursula; As I have always said, God had created Kelli for a reason. To be such an amazing example of what the human spirit should be. And she was given to You and Kevin (and Tristan & Aidan) because your family was the perfect place for her. Look at what Kelli and all of you have done for the Donor Program. She is the reason that Paul and I are Donors, as is my Dad, and we announce it to all we know hoping to get everyone to register. 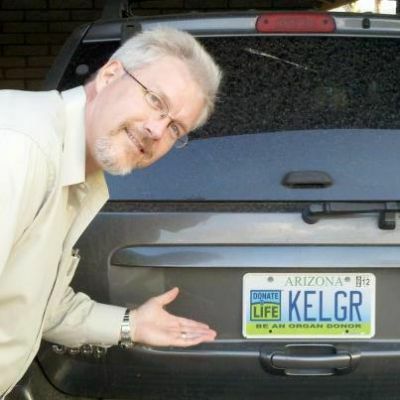 We also advertise it by our Donor License plates. You have all touched so many lives.